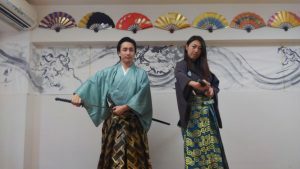 I have started the Samurai Dance Experience. 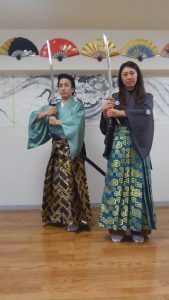 She is first woman Samurai for my event. 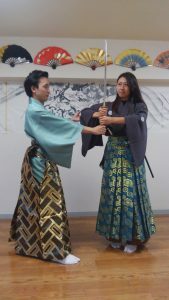 I told her how to handle Japanese sword. At this event, of course female can participate.